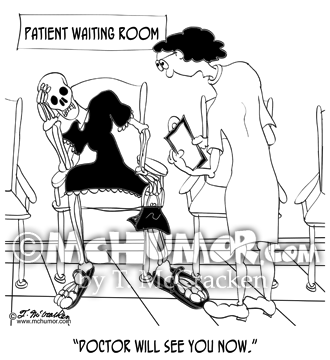 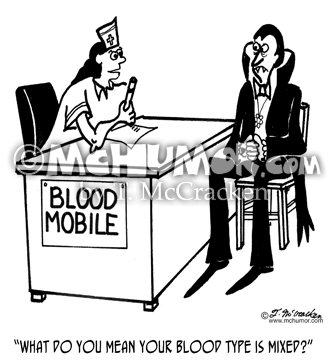 Hospital Cartoon 1830: A nurse in a hospital saying, "I don't know about this new computer inventory system. 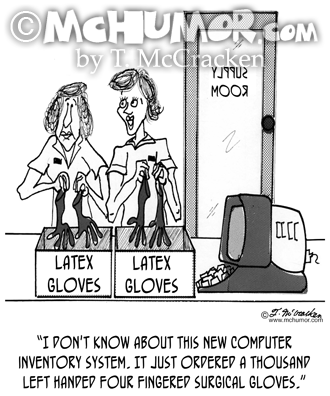 It just ordered a thousand left handed four fingered surgical gloves." 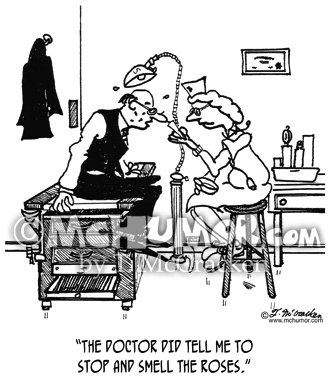 Roses Cartoons 1709: An executive says to a nurse removing thorns from his nose, "The doctor DID tell me to stop and smell the roses." 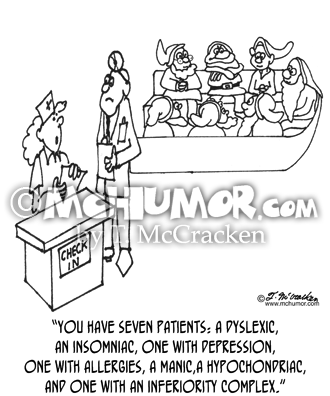 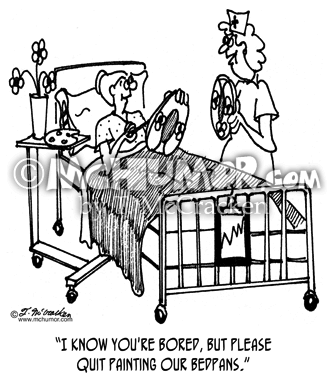 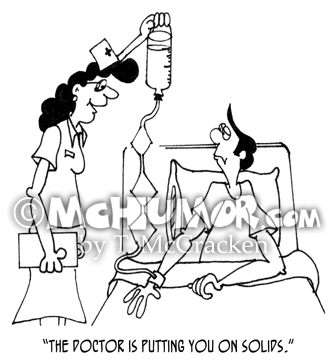 Bedpan Cartoon 4676: A nurse says to a hospital patient, "I know you're bored, but please quit painting our bedpans." 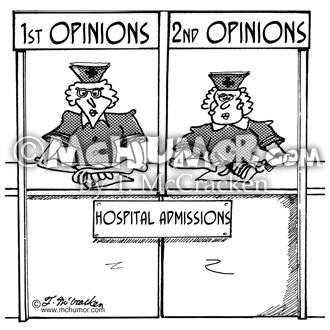 Medical Cartoon 1942: Hospital admissions' windows, 1st and 2nd opinions. 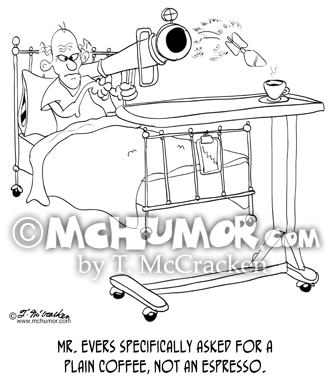 Coffee Cartoon 8928: A man in a hospital bed shoots a bazooka at a cup of coffee. 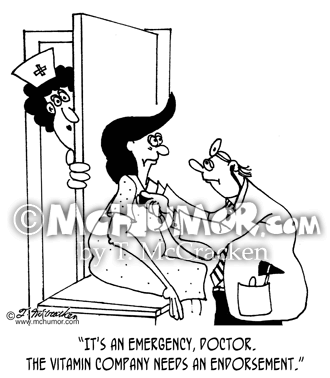 "Mr. Evers specifically asked for a plain coffee, not an espresso."